Despite deep traditions and thriving innovations, the music of rural Americans – white and black alike – had been almost completely ignored by the recording industry to this point. That would finally change in 1923, as the first genuine country and blues records were released. And with their runaway success, the commercial potential of these untapped markets could no longer be denied. This was the first country (or as it was then known “hillbilly”) record ever made, although it was not the first released for sale to the public. For those who think virtuoso fiddling begins and ends with bluegrass, here is proof to the contrary. Robertson’s brisk playing is outstanding from start to finish as he explores several variations on a theme with this well-known folk song. The record is hypnotic, sucking the listener in even as it keeps you guessing what’s next. If not for being so heavily crackled, this recording would no doubt still be heard today whenever someone wanted to invoke that old-time fiddle sound. 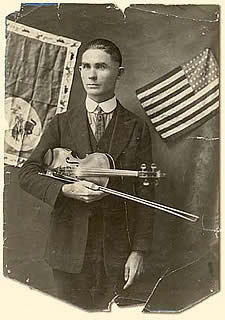 Although Eck Robertson was the first country artist to record, it was this record by Georgia-born fiddling champion John Carson that was first to be released. At first, the record was only sold locally, but it sold out so quickly that the record company decided to mass produce it, proving that there was indeed commercial potential for “hillbilly” music. Besides being a historical footnote, this record is a fine example of old-time country. Carson’s expressive voice drips with rural character, while his fiddle provides equally expressive harmony. Both the fiddle and the voice seem always on the verge of being out of tune, but somehow it all sticks together until one final, discordant note at the end. They called Bessie Smith the “Empress of the Blues,” and for good reason. 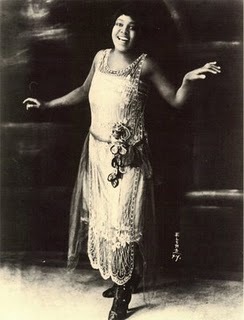 Like most female blues singer of the 1920s, Smith was more of a general songstress than a pure blues artist, and her accompaniment owed more to vaudeville than to traditional blues. But the emotion and power of her singing were pure blues through and through. “Downhearted Blues ” was her first hit and is considered by many to be the first authentic blues record. Listening to her sing, it is easy to forget that this was still a purely acoustic recording, without the benefit of an electronic microphone. Her voice is measured, even reserved, as is fitting for the subject matter, and yet such is the power of that voice that no subtleties are lost in the delivery. It is a moving and beautiful performance. As powerful as that record is, it almost pales in comparison to “‘Tain’t Nobody’s Biznesss If I Do .” With well-suited accompaniment from Clarence Williams on piano, Smith sings a tale of defiance and self-determination, proclaiming that no one can tell her what to do with her money, body and soul – even as her behavior becomes increasingly self-destructive. Williams knows just when to hold back, as he stops playing momentarily several times in the second half of the song to give further weight to Smith’s words. Collection of free mobile ringtones. Please install it now. At my site there are many other attractive tones.